Communities can make a big difference in supporting their local nonprofits, whether it is through donating directly to the organization or by volunteering time or resources. Thousands of organizations rely on these monetary and time donations every year to make ends meet and to continue serving their communities. 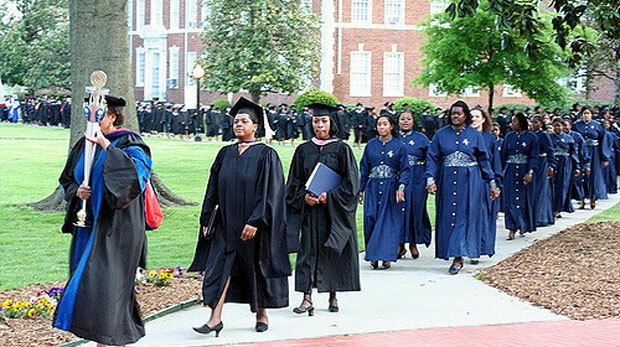 For one institution, Bennett College, this made a huge difference this year, as the university which is renowned for being one of two remaining colleges for black women was able to keep its doors open after more than $8 million in donations from thousands of donors. The university had originally aimed to raise $5 million to salvage its accreditation from being rescinded by the Southern Association of Colleges and Schools’ Commission on Colleges. In addition to two $1 million donations from High Point University and Kwanza Jones and José E. Feliciano Supercharged Initiative, the institution received donations from 11,000 individual donors, bringing the institution’s donations to $8.2 million by February 1. Bennett College is a private four-year institution located in North Carolina, know for empowering black women in the liberal arts.